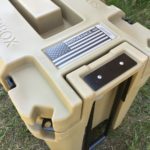 Speedbox is known for their “modular container systems for palletized cargo” which is a fancy way of saying they make rugged cases that stack together easily and are sized perfectly for various pallets in use by the military and other groups. The palletization features are very cool and very useful for some people… but not me. I have no military background and no need to palletize gear but a rugged, water resistant box that I can roll pretty much anywhere? Well, that I can use. The Speedbox Endurance-40 is the second similar product from Speedbox (the first being the larger Voyager-70). 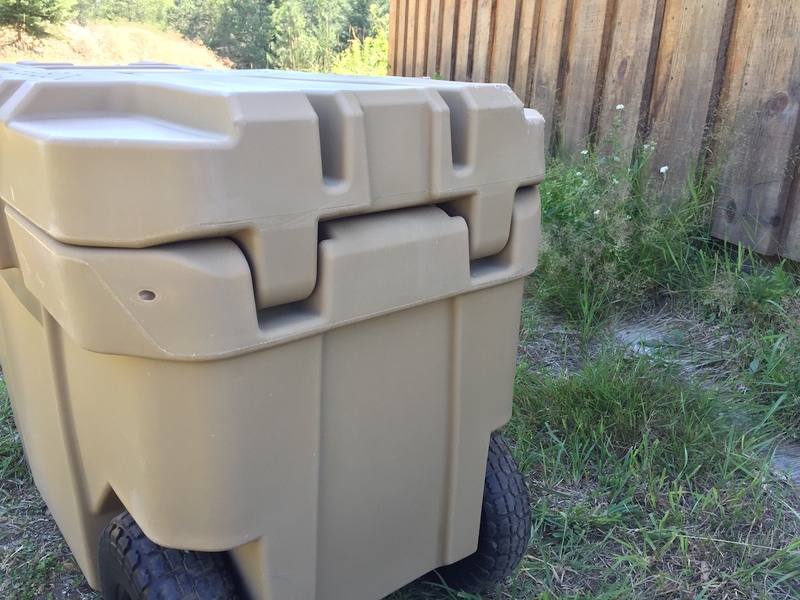 It is a 40 gallon capacity container (33.40”L x 19.95”W x 26.00”D) with a footprint that is sized to maximize the capacity of the ISU 90 and 463-L pallets. It has features that allow it to be locked together with adjacent Endurance-40s and to be stacked on other Endurance-40s. It features durable rotomolded polymer construction with steel and aluminum parts. 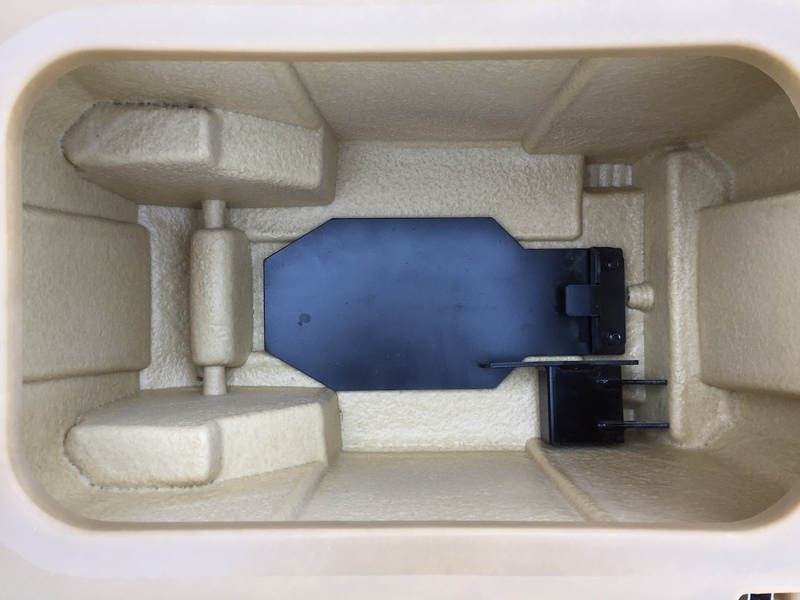 The interior of the case is sprayed with a textured liner used in marine applications. 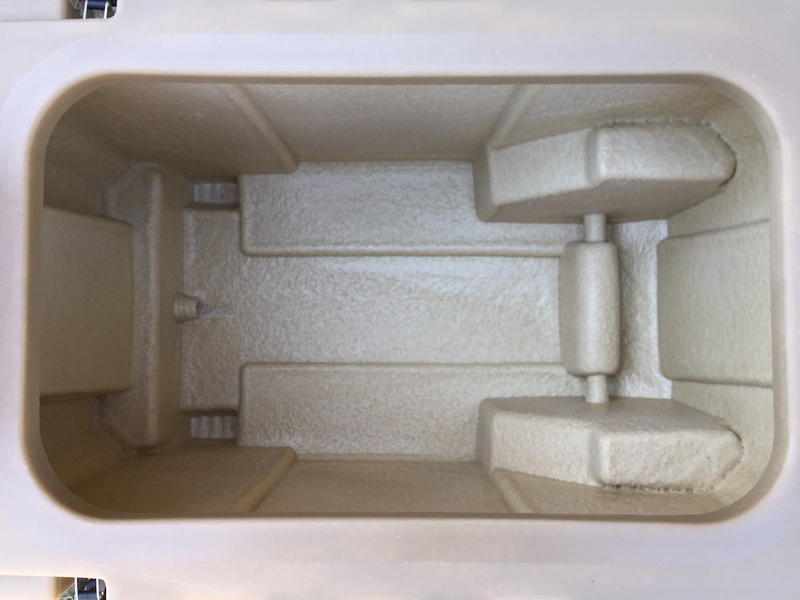 It has both a drain plug and breather vent to help equalize the interior atmosphere with the exterior. 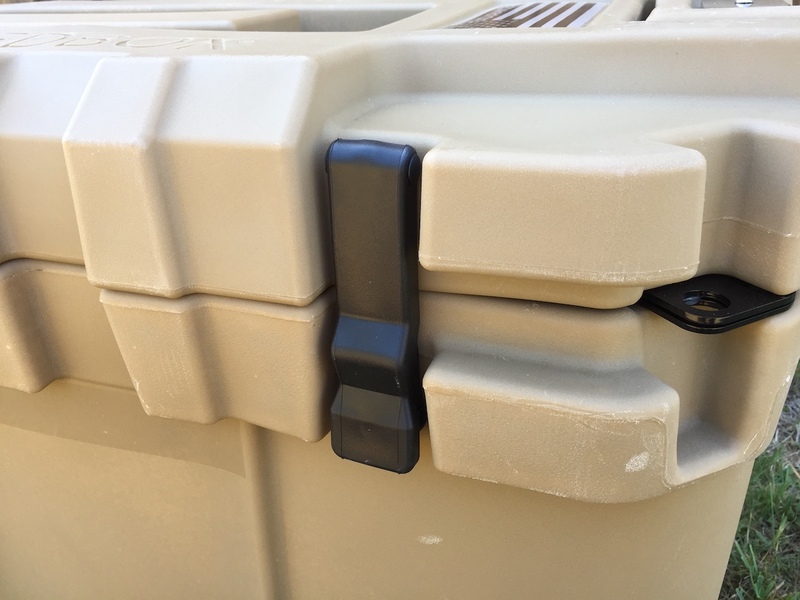 The lid is secured with rubber cam locks that serve to compress a large gasket that keeps the Endurance-40 water-tight. 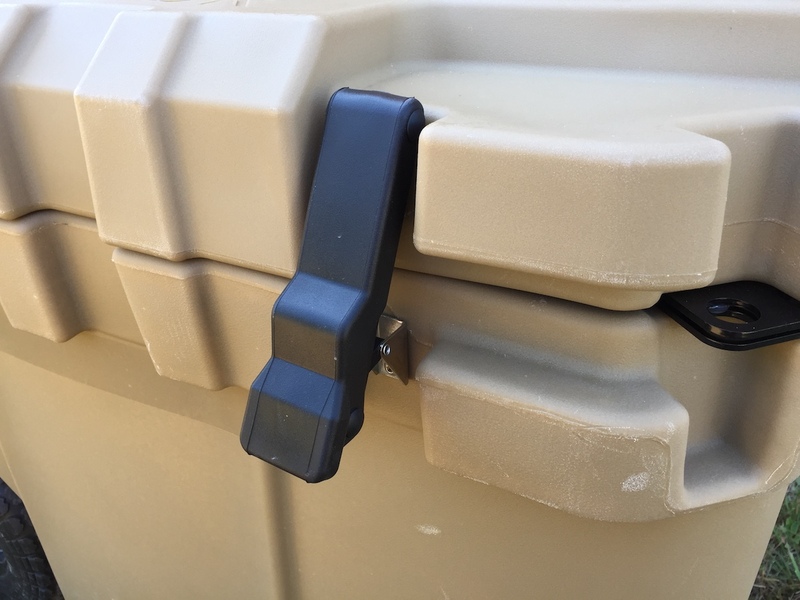 The hinge for the lid is beefy and pivots on a solid rod. The Endurance-40 rolls on large, no-flat tires that are mounted on a 5/8″ thick through axle. 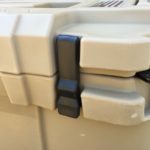 It can be rolled on those wheels with it’s “Never-Fail Handle System” that is constructed with solid aluminum square stock with steel reinforcement plates. 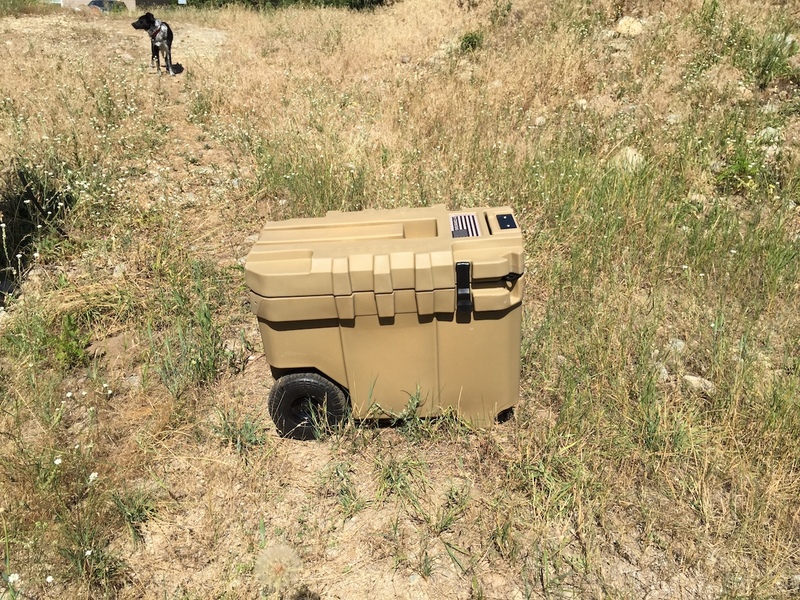 I am not the original military market for the Endurance-40 but it is versatile enough and unique enough to have broad crossover appeal to anyone who spends time outdoors. Gear and the outdoors go hand in hand so having a way to haul that gear is handy. I have used the Endurance-40 to cart my family’s gear down to our favorite swimming hole. That involves a quarter mile hike on the trails on our property to get to a creek that is dominated by glacial granite boulders of various sizes. It takes everything we need in one trip and rolls over everything along the way. I’ve used it to access shooting spots on public land where there are no sidewalks. It can hold multiple Defense Targets RSTs (think B-C sized silhouettes), short 2×4 target uprights, my shooting bag, lunch, and still have room to spare. Best of all, I can throw my rifle bag over my shoulder and get everything from my truck to the shooting line in one trip. Once I arrive, it makes a decent shooting table. Ivan at KitBadger.com shared with me that his gear often had to be palletized when he was serving as a security contractor. He thought something like this would offer a lot of peace of mind for someone who’s gear was sitting out on a hot or rainy tarmac for hours at a time. 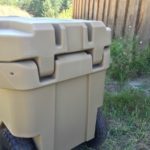 It could provide rolling, semi-secure storage for a hunting camp. 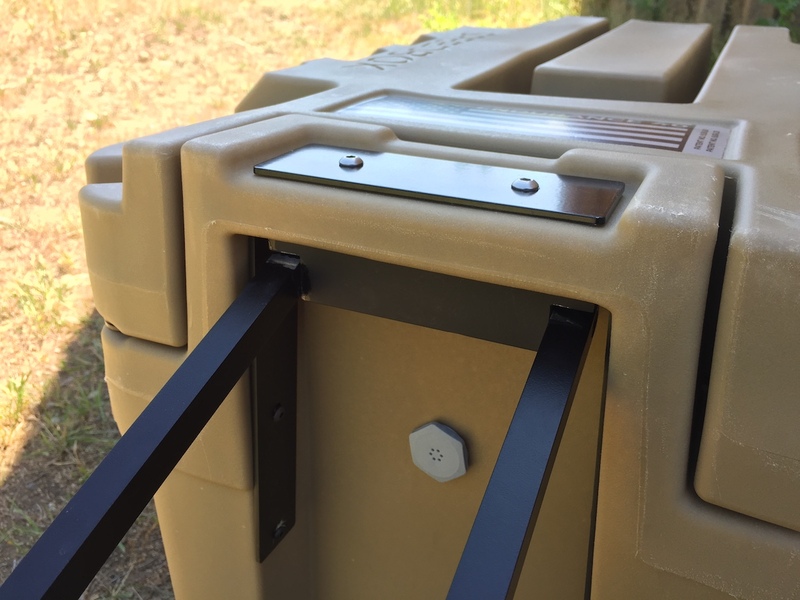 It could store extra gear at a camp site or vacation spot. It could be used to pack for a carbine course. 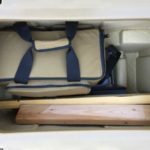 A firearm instructor could keep all their course supplies packed and ready to roll. 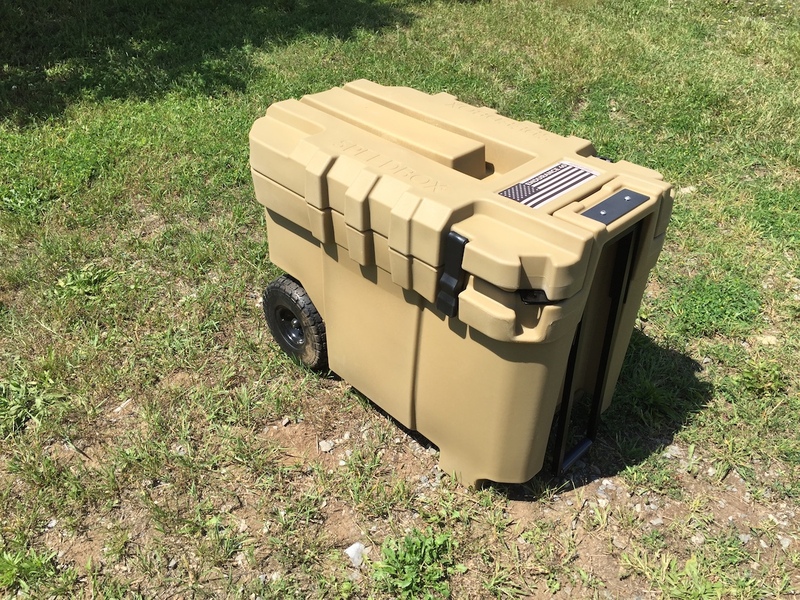 You can even use it as a cooler in a pinch! 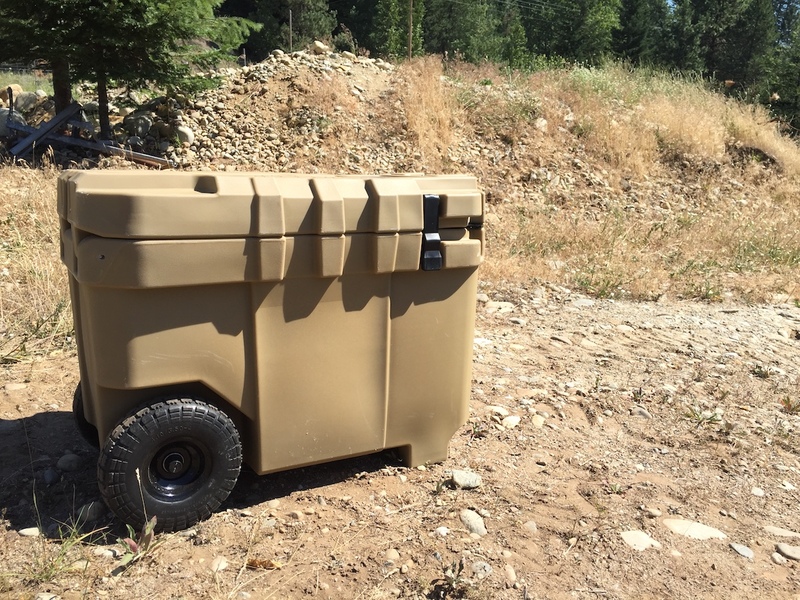 If you need to carry a lot of gear into a rugged place, you can probably put something like this to use. Is it possible to fall in love with tires? Because, I think I am in love with these tires. There are other wheeled boxes out in the marketplace but they are usually geared more toward photography equipment or tools and their wheels range from tiny rollerblade wheels to hard plastic wheels that look like they came off of push-mower. The Endurance-40’s wheels are one of the keys to its usefulness and what sets it apart. This thing is purpose-built to go to rough places. I have rolled the Endurance-40 on interior surfaces, gravel driveways, sidewalks, hiking trails, glacial granite rock, and grassy fields. It rolls over all them with varying degrees of effort. I am not talking about dragging the case. It actually rolls. 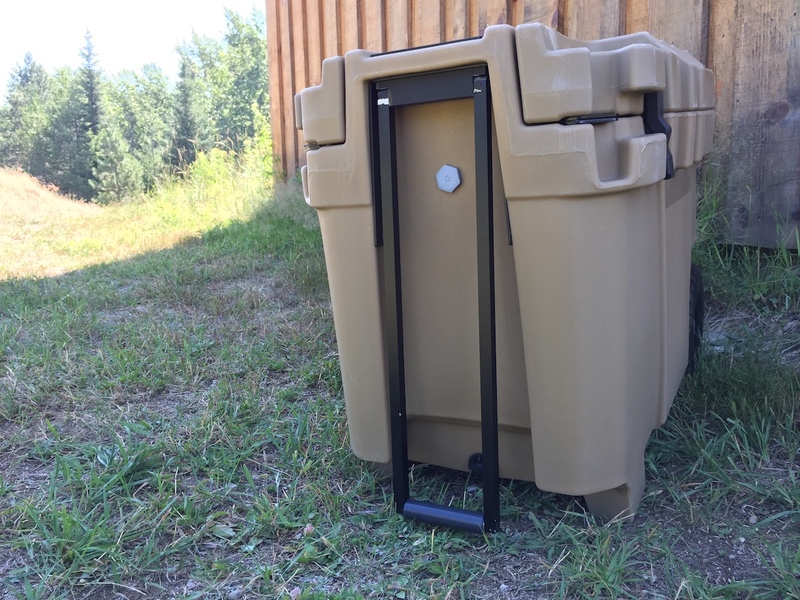 Shown with 2 steel targets, large range bag, and room to spare! 40 gallons of internal capacity can hold a lot of stuff! 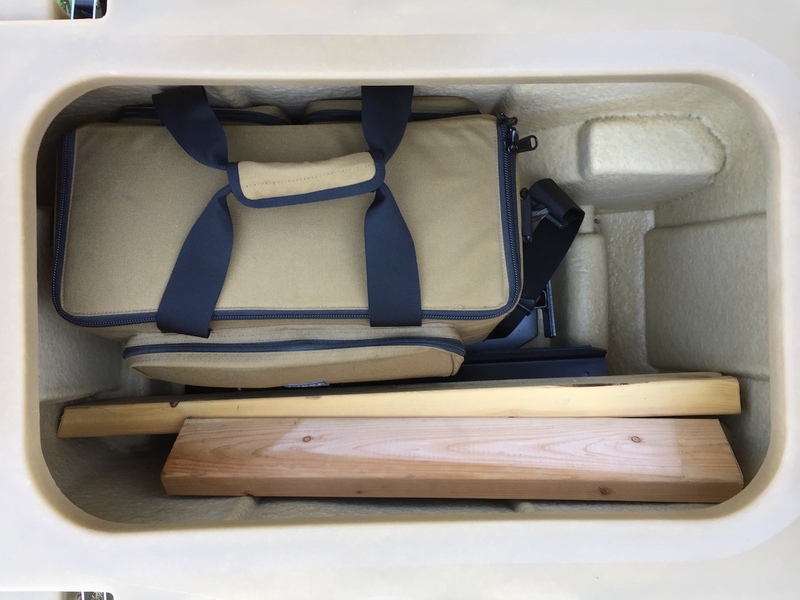 I fit 3 steel targets including their uprights and stands along with a large range bag, a lunch bag, 2 water bottles, a belt rig, and still had room left! I can fit my full overnight hiking pack into it with about 2/3rds of the interior space to spare. A word to those who plan to carry this in a pickup truck. It is a BIG case and it may not fit under a bed cover upright. I just lay mine on its side in my F-150. I appreciate the build quality of this Endurance-40. When you look at it, you initially see a lot of polymer. When you really start paying attention, there are some absolutely over-built design details. The wheels ride on a 5/8″ solid axle and the area between the wheels has been angled so that when you lift the front to roll the case, additional ground-clearance is created. 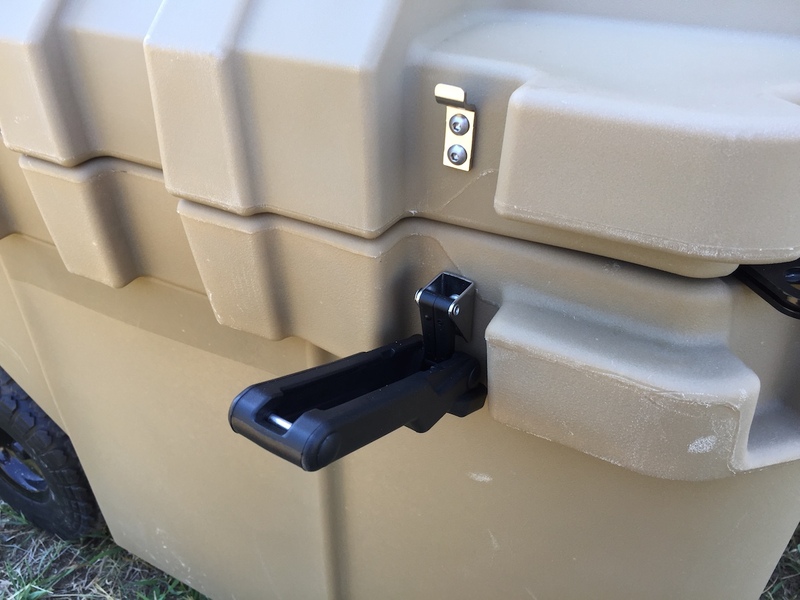 The handle is built extremely well from solid aluminum square stock and reinforced with steel plates so that there is never metal bearing on polymer under load. 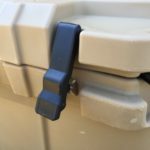 The handle is not only solid but comfortable to use. The handle itself is large enough to grip comfortably and spins freely so that you never have to reposition your hand as the angle of the Endurance-40 changes when lifting or rolling over uneven terrain. I do wish there was some way of securing the handle when it wasn’t in use like a friction lock or something along those lines. It hangs freely and can stick out when the Speedbox is tilted. I think Speedbox may have also missed some opportunities for internal organization with the Endurance-40. 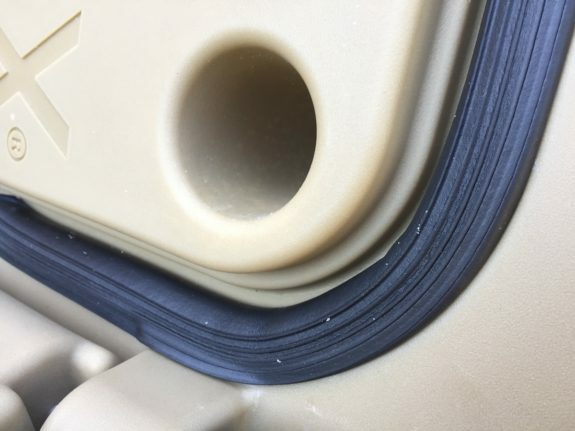 If there were something like like molded in ledges that could hold a tray used to organize cargo or maybe molded slots that accepted partitions, that could be useful. The military market might not have need for an internal trays or partitions but the guy who buys this for personal use might and he would likely pay extra for the parts! The Endurance-40’s gasket is huge. I tried to come up with some tests that would simulate the kinds of rough treatment a box like this might experience in regular use. I wanted to see if the Speedbox was up to transporting and protecting gear in a variety of conditions. The most important test in my estimation was loading it heavily and rolling it on very uneven surfaces. The best test of this was likely my shooting loadout. 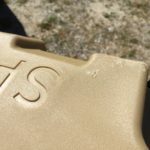 It was well over 150 pounds with 3 steel targets (nearly 40 pounds each), loaded magazines, spare ammo, and everything else I need on the range. 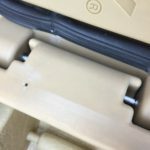 It was rolled over completely unimproved footpaths, dirt road, and rocky hillside with no signs of damage to the axle or where the axle interfaces with polymer body. It has also been rolled for more than a mile hiking trails and small glacial boulder fields (golf ball up to basketball size round stone) on its way too and from our creek with zero detectable change in the wheels or axle. The Enurance-40 lodged on the rocks during testing. 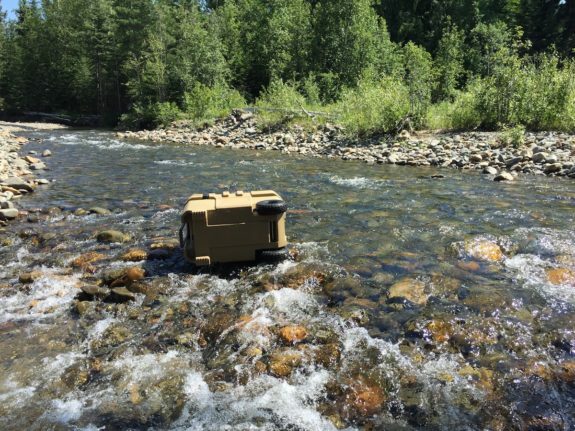 Speaking of the creek… The most fun testing that we completed was the float test. I sealed the empty Endurance-40 and let it roll down the same 50 yard section of the creek twice. At the end of the second float, it lodged on some rocks were it stuck with the full force of the creek behind it. This isn’t a dive case and getting stuck on the rocks with the pressure of a creek behind it is probably beyond what Speedbox intended but the gasket did its job. There was no water in the case though a few drops did force their way just under the gasket. 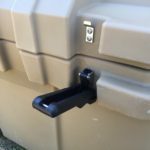 Finally, I pushed the Endurance-40 off the tailgate of my truck (which has a 3″ lift) 4 times. I did it twice empty and twice with a load of firewood in it. The LZ was my gravel driveway. Ouch! 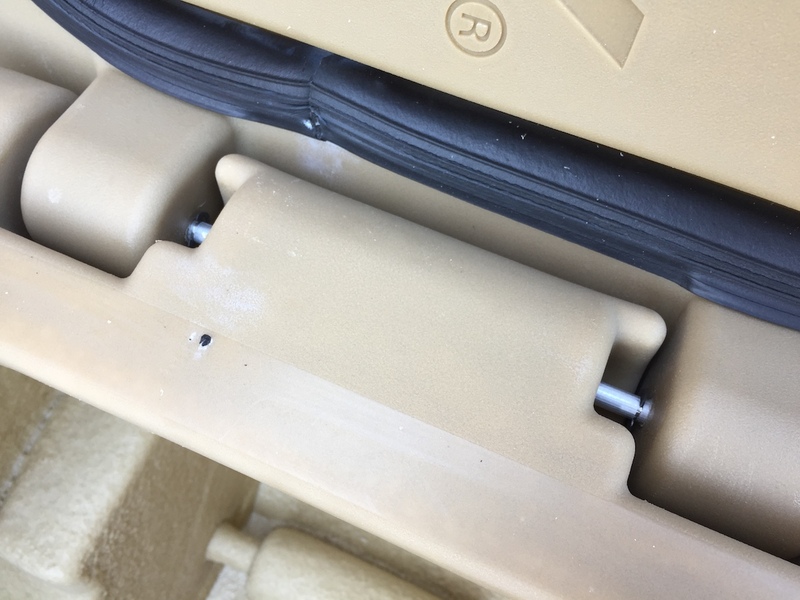 The box took some gouging, especially when full, but the lid remained sealed, the cam buckles didn’t break, the hinge is fine, and its integrity is completely intact. Oops! It fell… 4 times. Close up of damage from impact on gravel. The damage from 4 drops on gravel and 2 trips down the creek is superficial. I rarely comment on price in reviews, preferring instead to let you make your own judgement on value. I am going to comment on price here because these boxes are not cheap but I believe the price should not be a surprise. I’ll draw a few comparison to illustrate what I mean. 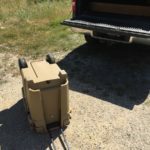 Any and all high-end rugged, water-proof, rolling, polymer gear cases (usually geared toward firearm transport or camera equipment) are relatively expensive. 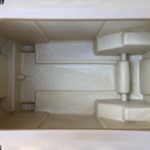 You can also price similarly sized rotomolded items like high end coolers as a benchmark. The Endurance-40 is sort an amalgamation of both of those with other features thrown in like large rubber tires and an over-built handle. The Endurance-40 also happens to be larger than most high end cases. 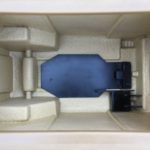 If you have seen Speedbox’s offerings online before and passed right by thinking they weren’t for you because you don’t need to palletize gear, you are missing out. I like to think I put the Endurance-40 through some realistic testing (maybe even some testing beyond realistic) and it proved to be extremely durable. It has a combination of features that make it useful in lot of situations. I don’t know of another storage container that do what Speedbox does and, more importantly for me, go where Speedbox goes. Disclosure: The Endurance-40 was sent to me by Speedbox free of charge for the purposes of writing a review. Sneak Peek: Gadsden Dynamics US Made Athletic Shorts… WITH BELT LOOPS!